It’s Monday, so. . .
David Carr likes BuzzFeed. Like him, I am delighted to see any new outfit that A) makes money and B) hires journalists to do original reporting. 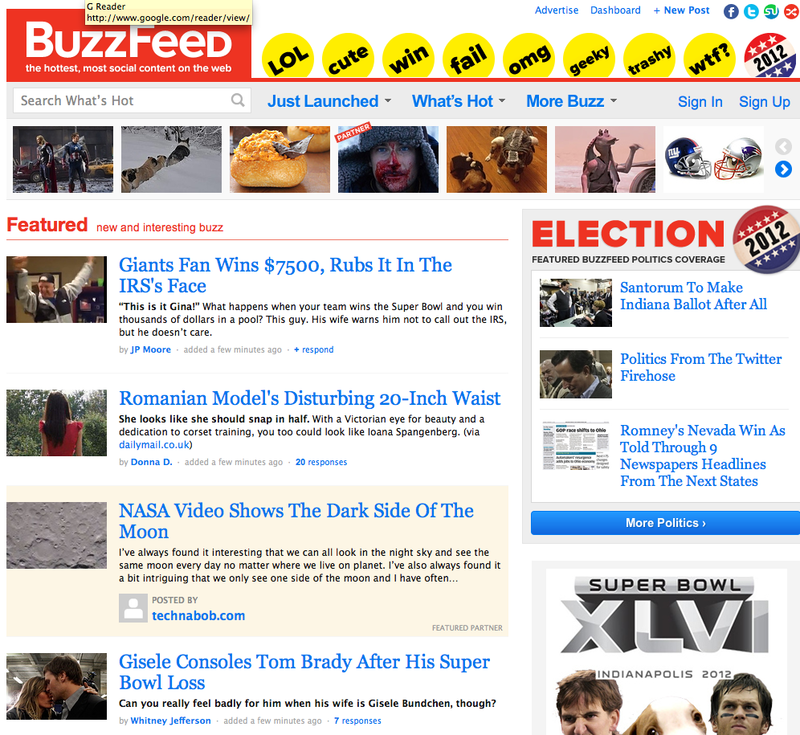 Personally, I think the BuzzFeed homepage is ugly. Does that count for anything? Sitting in the coffee area of BuzzFeed’s offices on West 21st Street in Manhattan, he [BuzzFeed creator Jonah Peretti] pointed out that there is nothing more viral than news that no one else has, so it makes sense to create some. Hmmm… Is he onto something?